Afghan Telecommunications and Information Technology Minister Eng. Amirzai Sangin expressed concerns over the insecurity that has been hindering telecom sector growth. Addressing a press conference in Kabul, Sangin said instability in the country has prevented his Ministry from expanding its services across the country mainly in southern regions. Many remote areas in the south are deprived of telephone services due to insecurity, said Sangin. He added the Bilateral Security Agreement (BSA) with the US would help overcome the insecurity issue. President Hamid Karzai is standing firm on his decision of not signing the BSA until the US fulfills his three preconditions: cease raids on Afghan homes, breakthrough in talks with the Taliban and transparent elections in April. The topic of BSA has become a regular routine in the Afghan parliament where the majority of lawmakers urge President Karzai to sign the security pact that was approved by the 2,500-member Consultative Logya Jirga months ago. The US, however, has shown no interest in meeting his demands and has ramped-up pressure on Karzai to sign the agreement. Endorsing the BSA would guarantee a close military partnership between the U.S. and Afghanistan in the years following the NATO troops withdrawal in 2014. 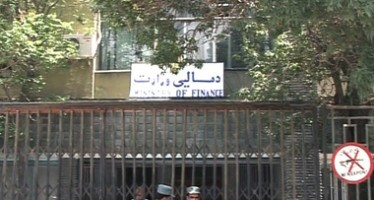 Afghan Finance Ministry recorded 109bn AFN in 2014 revenue, while the target for revenue collection had been set 132bn AFN.